Raise money while building school spirit! 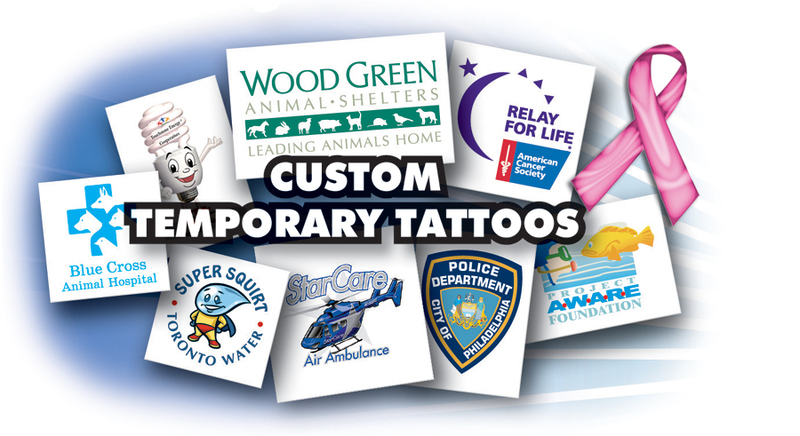 Turn any logo, mascot, character, slogan or any design into a custom temporary tattoo! or just give them away to promote school spirit! Temporary Tattoos are a unique way to get your message noticed! Custom temporary tattoos are shipped in approximately 2 weeks from the approval of your artwork. Your original logo or design will look terrific as a temporary tattoo! Temporary Tattoos are a unique, affordable, and effective way to market your company, organization or event.